There is a common misconception that if you’ve been in a car accident that is not your fault, that 3rd party liability will take care of everything. However, what they don’t tell you is that there is no binding contract with you obligating them to take care of your injuries. From the first day, the 3rd party is building a case against you, which they are hoping to exercise later by not paying your medical bills. This same 3rd party can make your life very difficult down the road. What’s more is the liable 3rd party could also have a very limited coverage type of policy that often times will fall way short of covering your medical bills if there are any moderate to significant injuries. Often people with the minimum coverage type of policies are trying to save money on their monthly premiums. This person may also have little to no assets. Therefor, you could easily be stuck with expensive unpaid medical bills. Your best protection is having at least $35,000 in personal injury protection (PIP) coverage on your auto insurance policy and having at least 100K/300K on your uninsured and/or underinsured motorist coverage. PIP is also very important because it will pay for your injury treatment as you go, and not wait until the end of care. It’s common for the liable 3rd party insurance to not pay medical bills/claims until the final settlement of your case. And even then you are fortunate if they pay the full amount. Therefore, PIP helps prevent you from having outstanding medical bills. Many clinics that take 3rd party claims where there is no PIP will charge the max interest rate allowable by law along with late fee charges on your outstanding balance. And, when you are dealing with 3rd party insurance they can drag out the settlement of your case for several years while you have expensive medical bills that are piling up. Most doctors and clinics want their money immediately and do not want to get involved in legal battles. At the end of the day, you are ultimately responsible for your doctor bills, and most clinics will not hesitate to go after you to the point of collections or small claims court. Remember, it’s your signature on their forms. Without PIP, you are severely limited to the doctors or clinics you can go to. If there are any type of significant injuries that would require a specialist, it is next to impossible to find a good doctor and clinic that knows how to properly handle auto collision injuries. Almost every doctor or clinic that has taken a 3rd party claim has had a bad experience of not getting paid either by the insurance, the attorney, the patient, or a combination of all three. 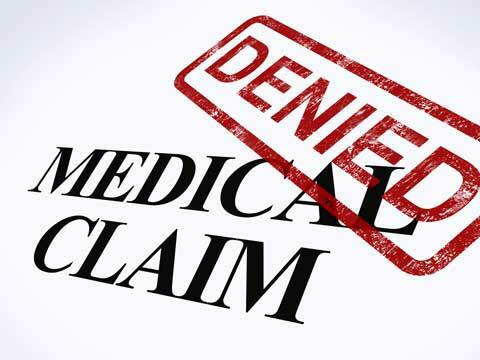 It’s not to say that doctors or clinics that take 3rd party claims are bad, it’s just that there are very few who will wait to get paid upon settlement due to the inconvenience and hassle. Don’t set yourself up for disaster. Make sure you have PIP coverage so when the day comes that you need injury recovery from a car accident, find yourself a clinic that specializes in handling personal injury claims. It’s the best way for you to get thorough and complete treatment for a car accident injury.